Below is the tombstone of my second great grandfather, Samuel Van Every. 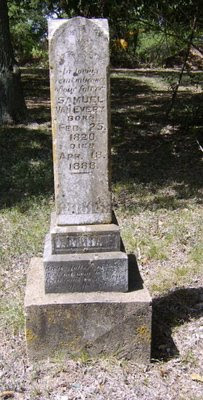 Born Feb 25, 1820 in Brant County, Ontario, Canada, he died April 18, 1888 in San Marcos, Texas. The photographs were taken by a kindly RAOGK volunteer.